Starring Scarlett Johansson, Idris Elba and Christopher Walken. Starring Johnny Depp, Sacha Baron Cohen and Anne Hathaway. Based on the book by Lewis Carroll. Based on the books by Edgar Rice Burrowes. “When Elizabeth Bennet first meets eligible bachelor Fitzwilliam Darcy, she thinks him arrogant and conceited; he is indifferent to her good looks and lively mind. When she later discovers thatDarcy has involved himself in the troubled relationship between his friend Bingley and her beloved sister Jane, she is determined to dislike him more than ever. In the sparkling comedy of manners that follows, Jane Austen shows the folly of judging by first impressions and superbly evokes the friendships, gossip and snobberies of provincial middle-class life.” – from the publisher. Books are currently available at the circulation desk. 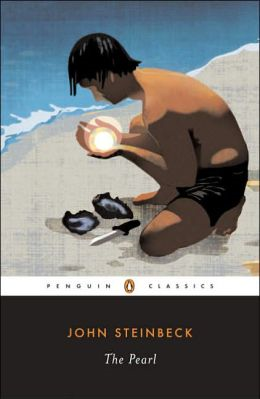 Please join us on Tuesday, January 13 at 7:30 PM to discuss the classic novella The Pearl by John Steinbeck. The discussion will be led by Jackie Ranaldo, Head of Readers’ Services. Copies of the book are currently available at the Circulation Desk on the Main Floor. For more information, contact the Readers’ Services Department: 516-921-7161 x 239. 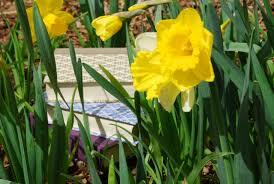 10 Classics Its Time to Reread This Spring! As an admitted “Book Fanatic”, I read constantly, averaging about 100 books per year. Lately though, I have found myself so overwhelmed by all the new books being released that I haven’t made time to read the classics. My first choice is celebrating its 75th anniversary this year and a remake of the original film is rumored to be in the works. *All descriptions from the Publishers. Today we introduce another feature that will be recurring on this blog, “Question of the Week” (a great idea that’s borrowed from another blog (Daily Lit– thanks!). Hopefully we’ll spark some enlightening ” back and forth” in the comments. Since October is National Reading Group Month, thoughts turn to reading groups and the discussions they generate. Although I have been involved in book discussions with various reading groups over the years, one of the best discussions that I have ever participated in was for “The Sun Also Rises” by Ernest Hemingway at one of the library’s monthly book club meetings this past summer. This was because it was the first time I had been involved with a reading group discussion involving a book considered a classic. It might be a cliché, but that’s why they are called classics. They are books that usually seem, on the surface, to be either very simple or very complicated and sometimes quite boring to read. Yet, if you stop and think about the motivations for what the characters say or do, and the word choices the author is making, a “classic” book will yield insights that do not stop coming! Although I had read “The Sun Also Rises” before, hearing it discussed by the group led me to a variety of new and different thoughts about it. Discussion of any book will do this but a “classic” will always allow for greater depth. Which book, read for a reading group, has led to the most interesting and liveliest discussion? Let us know by making a comment below.